This colour reminds me of sunshine and rainbows and Kermit! .. maybe its the green, its a very frog like green isnt it? The Rainbow Connection even. 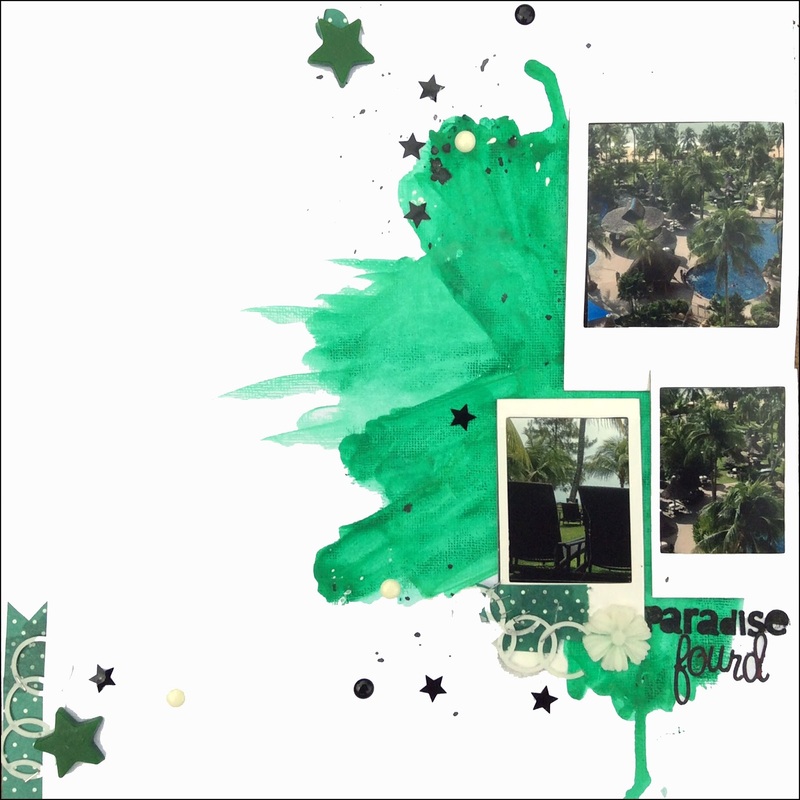 As soon as I got saw colour I KNEW it was going to lean towards a nature/tropical type image and these ones from our last trip to Penang where we stayed at Golden Sand Resort at Batu Ferringhi were PERFECT! Lots of fabulous pieces from The Resin Rainbow have been added and some diluted gelatos were used for the big green splash on the background. Click on the link for the direct link to the products in my store .. you can request whatever colour/s you like from the drop down list on each link. Have you had a chance to check out what the rest of the CT have done with this amazing colour yet? here is the link so you can and then give it a shot and upload your own challenge entry too!